There is no WeWork in this teeming metropolis of 14 million. Kolkata is a big, loud and busy city — astonishingly so. A walk down the street feels like you're swimming through humanity. The constant din of car horns mixed with tropical heat and innumerable smells makes for a really fun city, but good luck getting any work done. In a city where coffee shops are hard to come by, EasyDaftar offers entrepreneurs an oasis in the madness. Their spaces are strategically located around the city's central business districts, but usually a block or so off the main drag, making them incredibly peaceful. And, in a part of the world where a reliable internet connection is a luxury, it always seems to be humming along at EasyDaftar. When did you open your first space? We launched our first outlet in Kolkata's Salt Lake neighborhood in June 2016. The Salt Lake neighborhood is the tech hub of East India. How many offices do you operate now? Within our first year, we launched our second outlet at Park Street in the central business district and then we opened our third outlet under the Signature branding in South Kolkata. That made us the first coworking provider operating in all three business districts of the city. Wow, you’ve expanded quickly! Is there a strategy behind where your spaces are located? We chose locations that are convenient for our members to get to — we understand how hard it can be for coworkers to reach a workspace. If the space is not situated in a prime area or is located away from main roads, it can really eat into someone's earnings. I've heard that EasyDaftar supports female entrepreneurship in Kolkata. How does that work? Female entrepreneurship is taking the world by storm! We can only show support in our own small way. Since we launched, we have encouraged female entrepreneurs by providing monetary discounts to women, as well as making our workspaces women-friendly. All our outlets have separate washrooms, and all of our community managers are women as well. We want everyone to feel comfortable approaching our outlet managers with issues and requirements without any fear of bias. As a result, we have quite a few female coworkers in our spaces and we're immensely proud of that. Do all of your spaces have people who bring members tea at their workstations? Startups need to be flexible and adaptable. We encourage self-service in our outlets but there is always a percentage of clientele who prefer being served at their workstations. 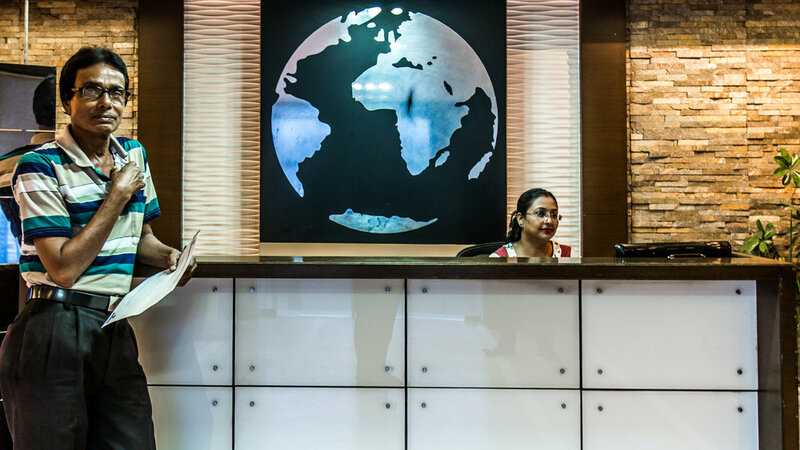 This is a cultural inclination in India and we have professionally trained Hospitality Executives who cater to every convenience and requirements of our coworkers. After all, it is our duty meet every requirement of our coworkers so that they can focus on their work! Did you really build this place from the ground up? We always custom make our spaces. 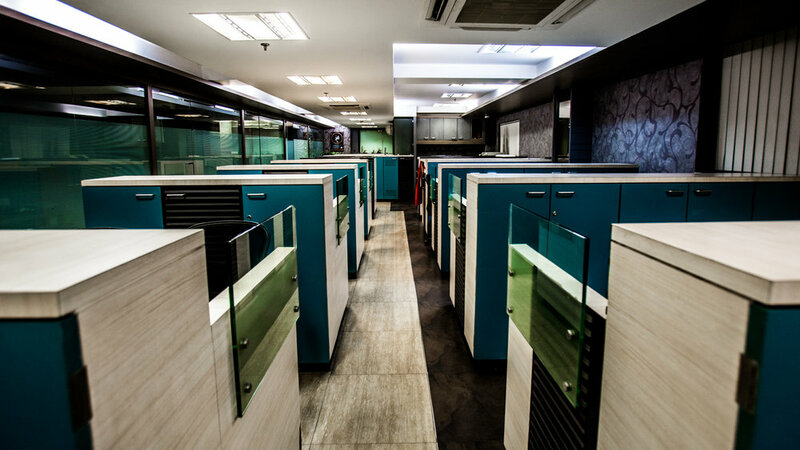 Some of our clients come to us asking for a single workspace, while some come asking for a workspace for 20 people and we need to be flexible enough to cover them all. All of our spaces have private cabins that can accommodate four to ten people, as well as a coworking area where every workstation needs to be built to ensure confidentiality, while also being part of the common area. What are some of the things you’ve learned along the way? I've learned a lot. For example, when we built our first space we quickly noticed that clients need a space where they can shout into the phone. India's loud! So, when we were designing our second and third outlets, we dedicated a small private space for people to take calls in. Figuring out how to get the internet to function has left me half a systems engineer! We experimented with using 10 MBPS leased lines and then tried fibre lines. Finally, we figured out how to provision seamless internet to over 100 devices within each space with 2 Mpbs per device. Another valuable learning was that corner desks are not usable. We built two corner desk spaces in our first outlet, only to realize after completion that the person on the left and right side of the corner desks leaves no place for somebody to sit at the corner workstations! After that, we started to arrange things an an 'L'-shaped layout. What’s next for EasyDaftar? While 2016 and 2017 have been a period of R&D, inception, growth and expansion, 2018 is projected to be more about consolidation and breaking even. We believe in learning to walk before running, and will only follow organic growth while focusing on customer satisfaction through quality of service. If you could add one thing to your spaces, what would it be? Maybe an enclosed room where members can smash fruits, small toys, tin cans, etc. with a cricket bat. It's a great de-stresser, and adding that extra bit fun into your day is a great way to stay engaged. I like to call it 'constructive destruction'! Responses have been edited for clarity and brevity. Photos by TechAbroad.